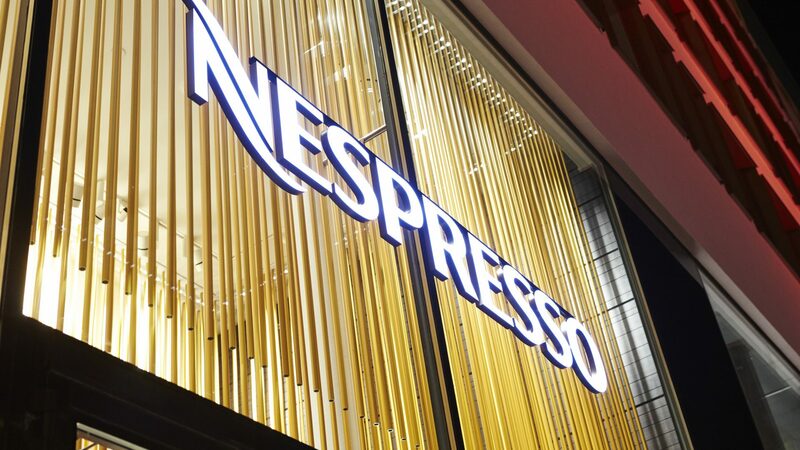 The premium portioned coffee brand Nespresso asked V&B to create an opening campaign for their new store located on Kungsportsavenyen; the main Gothenburg boulevard. The week long campaign was activated by the hash tag #nespressogbg and included a Nespresso capsule-branded tram, a launch party, bloggers’ breakfast and PR work under the heading "There's a new taste in town" to inform citizens, bloggers, property owners and other parts of the local industry of the new store. Nespresso was opening a new store on Kungsportsavenyen in Gothenburg and asked V&B to help them let the citizens know that there’s a new store in town. 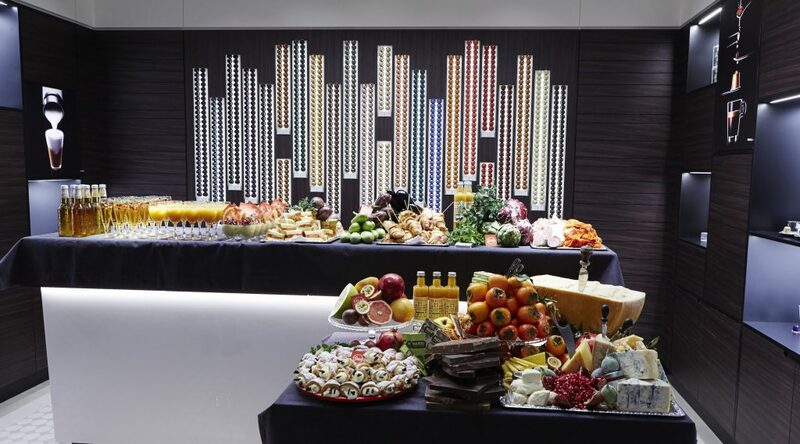 It was important for Nespresso to make everyone feel included in the opening and not turn the launch party into an exclusive affair. It was also important to communicate that the Nespresso capsules are now for sale in store in Gothenburg. V&B produced a communicative concept for the entire opening week under the message ”There’s a new taste in town”. The number one goal with the campaign was to create an exclusive feeling that triggered people to visit the Nespresso store. Our idea was to identify loyal Nespresso customers in Gothenburg and turn them into ambassadors that would help us spread the message of the opening to friends and family. The hash tag #nespressogbg was activated with a branded tram that drove through town serving coffee to travellers in a very Instagram-friendly setting. 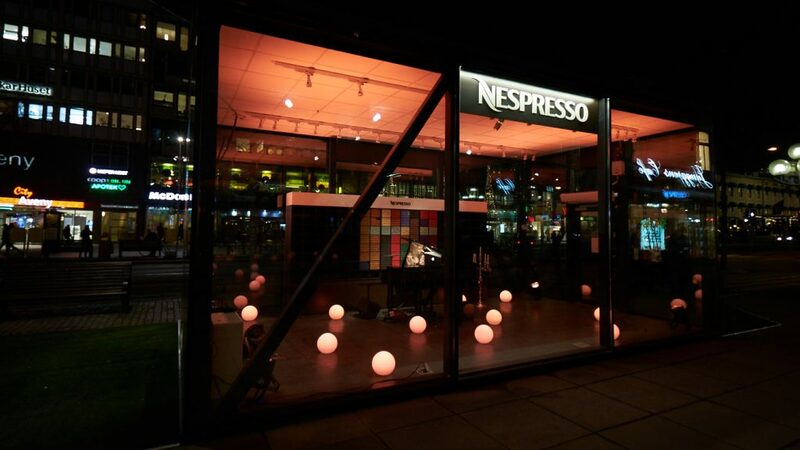 Anyone who posted a photo under the hash tag #nespressogbg received a free gift to be picked up at the store. On the day of the opening, people were lining up outside the store before the ribbons were cut. During the opening days we arranged a bloggers’ breakfast inviting a few of the most influential lifestyle bloggers in Gothenburg to experience the store and Nespresso up close. We also introduced Nespresso to new home hunters through product placement at some of the city’s trendier real estate agents. We worked traditional media and got editorial space in both business and daily papers. Before the launch party we mailed out coffee scented invitations to carefully selected guests. 170 people showed up to the V&B hosted function and the party was highly appreciated by everyone. Apart from PR and events, V&B handled the graphic design of the outdoor campaign, produced and distributed invitations and designed the limited edition capsule packs. 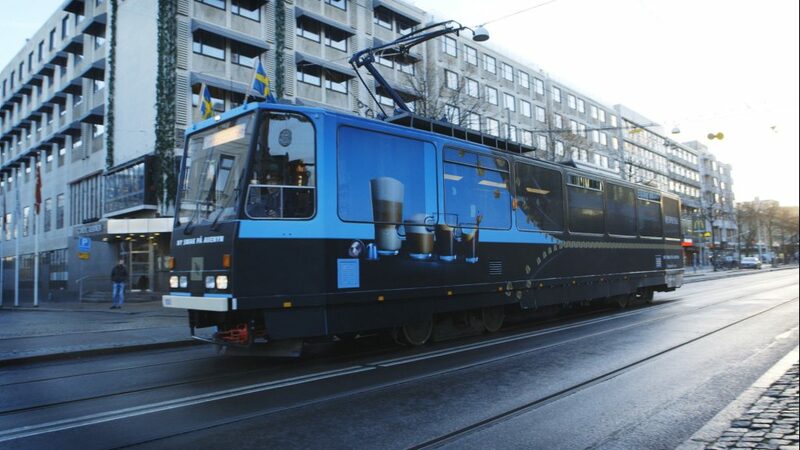 The hash tag #nespressogbg was activated with a branded tram that drove through town serving coffee to travellers in a very Instagram-friendly setting. 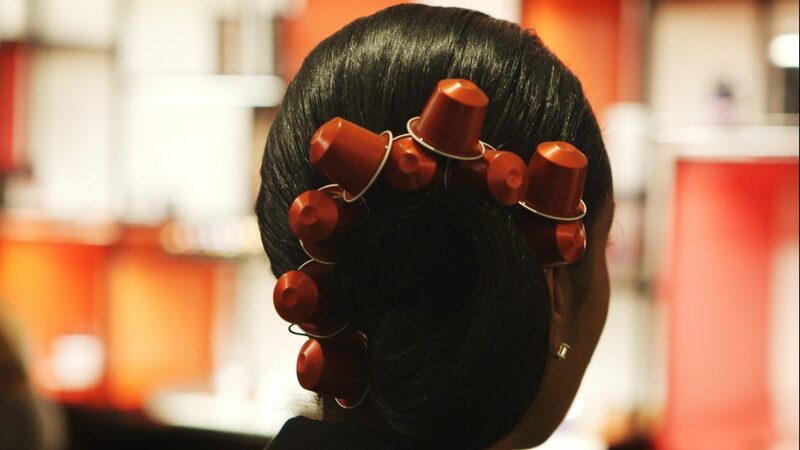 The campaign achieved what Nespresso hoped for – the store opening became the talk of the town and media was on it. There's a new, very good reason to visit Kungsportsavenyn in Gothenburg and the busy Nespresso store is the reason why.